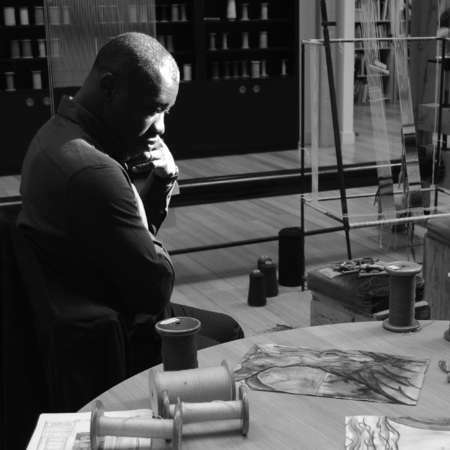 Born in 1968 and educated at the Royal College of Art, Chris Ofili lives and works in Trinidad. He achieved recognition for his vibrant, technically complex, and meticulously executed paintings and works on paper in the mid-1990s. While his early work was predominantly abstract, intricately fusing pattern with colour, he has since developed a signature figurative style, which often bridges the gap between the sacred and the profane, drawing upon a myriad of cultural references. 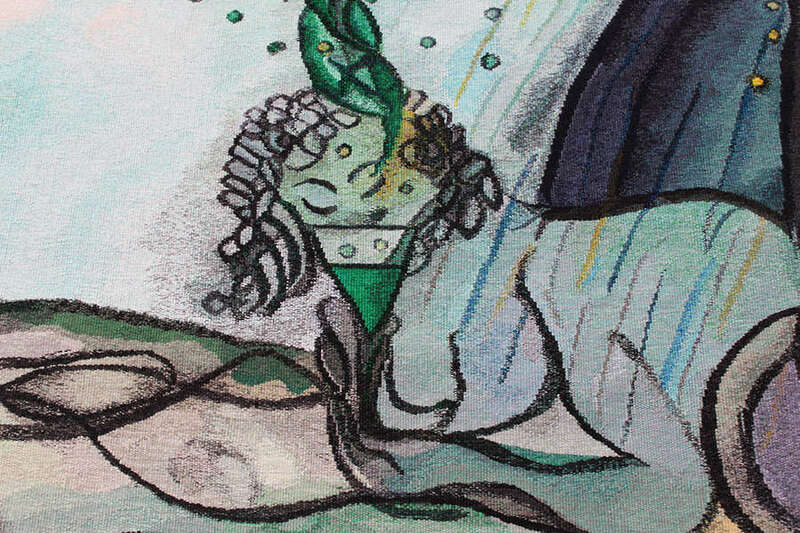 From jazz to hip hop, blaxploitation movies to the Bible and Zimbabwean cave paintings to the works of William Blake, Ofili has appropriated sexual, cultural, historical and religious references to create richly layered works. The artist’s early paintings combined paint, glitter, collaged images and elephant dung. More recent works adopt simple, pared-down forms while continuing to be just as expansive, dramatic and romantic; full of references to sensuality, sexuality and his ongoing exploration of biblical themes. His tribute to the late South London teenager Stephen Lawrence, entitled No Woman, No Cry formed part of his entry to the Turner Prize in 1998, when he became the first painter since Howard Hodgkin in 1985 to win this prestigious award. He represented Britain at the Venice Biennale in 2003. His work has been the subject of solo exhibitions worldwide, including a mid-career retrospective at Tate Britain, London (2010).